Yep, good stuff by the lads. 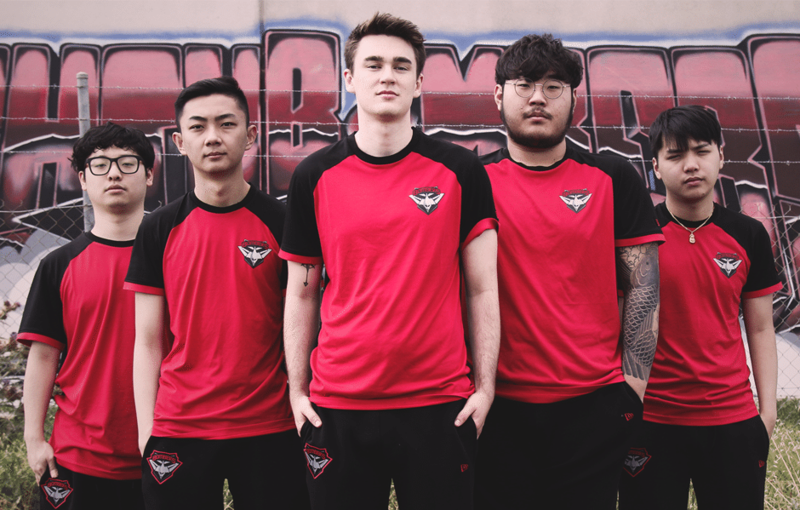 Especially against Mammoth in their first game, who are tipped to take out the split. Some real passion showed too! I was thinking of perhaps watching games or replays and writing up a little review of the games, think it’s worth it? Eg enough people to take an interest? If it is going to grow and be a big thing for the club, then write-ups would be somewhat useful. However, I do think you will be in for a lot of effort, and not a lot of love coming back the other way. Where’s the training report and pix? Yeh it probably doesn’t hurt! Whats your experience with LoL?? I probably played half a dozen games 5 years ago or more… but I followed the Starcraft 2 GSL scene in Korea for a few years back in 2010 - 2013. So having a league locally to get keen about is rather nice. Here’s a nice recap of the games on snowball, for anyone keen to hear how it went. That’s not bad at all, but more an overall rundown that no one who’s played wouldn’t get. I was thinking more detailing the rundown of the game, with what each 5 min interval meant and what occurred. Detailing champs and what abilities were used and writing it in a way any joke blogs may understand. This way may help people who haven’t played get some understanding. No idea what I was reading… but enjoyed it never-the-less. Bombers 2nd on the ladder is a nice sight as well. The EFC version… less detail then the previous link, and similar quotes. 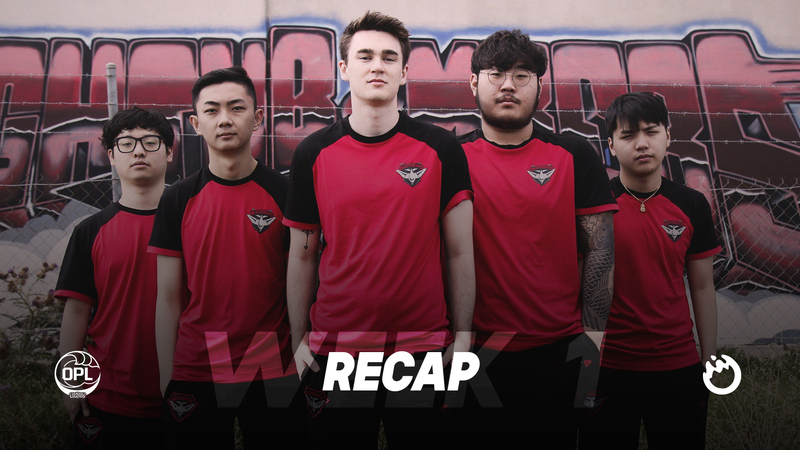 Bombers esports leads the 2019 OPL Split 1 standings after two opening wins. Oh, heck, I’d appreciate that! I watch it for 30 minutes and have no idea what I should be cheeringfor lol. its league of legends, nothing happens until the 40th minute where 1 team wins a fight and snowballs. 3-0 get on the lads. boys are looking like a well oiled machine, I thought we would get there but not this early in the season. bring on chiefs tomorrow!! How much $$$ do they win in these comps? the prizes aren’t that big I don’t think, most of the money comes from sponsorship. Yep there is money in this here venture. Wonder if they bring their own PC or if we custom build their hardware or just provide latest Alienware. OK here is my review. I understand so many people, well majority have no idea what anything means in the game, so I have done my best to simplify it where possible, and also teach along the way. Let me know if its just sh**house and ill just lick my wounds. Apologies for the fast writing of it, didnt have a lot of time this weekend. Love some feedback on where to improve, or to just not bother etc. I have given a short summary of what LOL is and the aim etc. So the dons are now 3-1, with the team putting together some strong early season performances. This review is of Game 3 in Week 2. 2 games per weekend at the moment. This game was against Legacy Esports team. Legacy are a strong team, but probably not in the top tier of this year’s challengers in my eyes. Summoner’s Rift is the most popular map in LOL and is what all professional games take place on. On this map type, two teams of five players compete to destroy an enemy building called a Nexus, which is guarded by the enemy team and a number (11) of defensive structures called turrets, or towers. One nexus is located in each enemy base on opposite sides of the map, in the lower-left and upper-right hand corners. These structures continually create weak non-player characters known as minions, which advance toward the enemy base along three paths: top, middle, and bottom lanes. Players compete to advance these waves of minions into the enemy base, which allows them to destroy enemy structures and ultimately win the match. 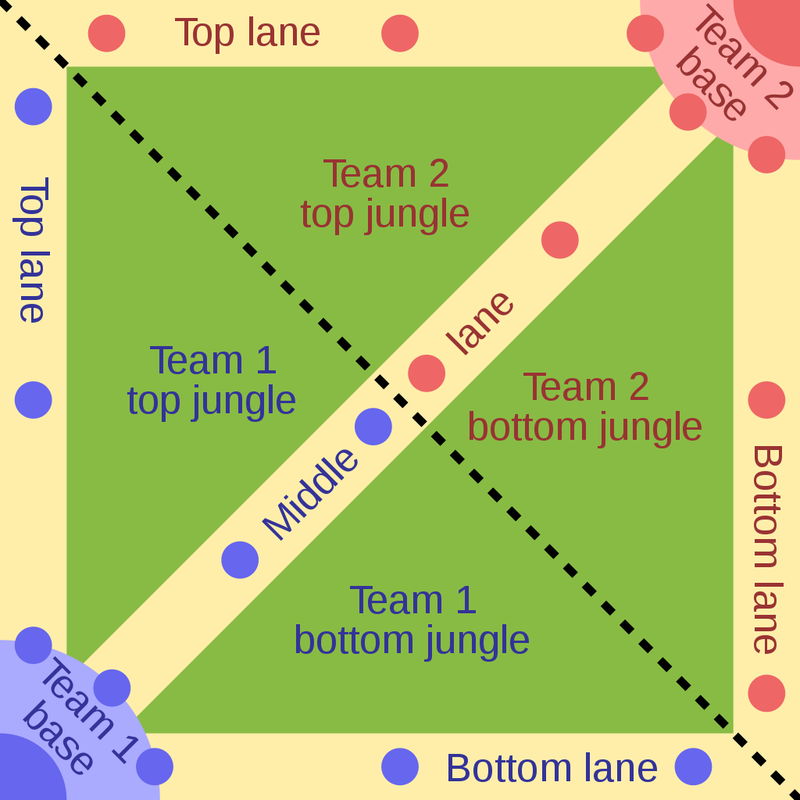 Between lanes are neutral areas of the map known as the ‘jungle’. A shallow river divides the map between the teams, but doesn’t actually impede movement; all champions can wade through it no differently than dry land. Turrets - Each lane is guarded by powerful defensive structures called turrets. Turrets deal exceptionally high damage and will attack enemy minions and players that approach them. Turrets prioritize enemy minions in their vicinity, but will immediately attack enemy players if they attack allied players. Thus, by advancing an allied minion wave into the range of a turret, a player can do damage to the structure without themselves being attacked. When destroyed, turrets provide gold and experience. Turrets that are destroyed are destroyed permanently for that match and will not respawn. Some turrets, depending on location, will regenerate health over time if they are damaged but not destroyed. Inhibitor - Each lane contains one Inhibitor. A lane’s Inhibitor can be attacked after a team has destroyed the three turrets guarding its lane. Destroying an Inhibitor will cause the allied Nexus to spawn Super Minions, more powerful Minions that provide a buff to surrounding Minions. If destroyed, inhibitors will respawn after five minutes. Nexus - Each team has a Nexus that can only be damaged once all the turrets in a lane, that lane’s inhibitor and the Nexus Turrets are destroyed. Destruction of the enemy team’s Nexus ends the game. Jungle monsters - Neutral monsters spawn at various intervals in the Jungle, and provide the player with gold, experience, and sometimes other rewards for killing them. They are the most common neutral objective. Elemental drakes/Elder Dragon - Elemental drakes are powerful monsters located in the bottom half of the river. All members of the team that kills the drake are provided with buffs that last the entire game and accrue cumulatively. The drakes are flavored after the four elements (Damage, Speed, Building damage, overall change), with each drake granting a thematically appropriate buff. A random elemental drake will respawn six minutes after the previous one is killed. The Elder Dragon spawns instead after 35 minutes have passed in-game. When killed, it provides a stronger buff than an individual elemental drake, but it wears off with time, unlike the earlier drake rewards. Rift Herald - The Rift Herald is a powerful enemy located in the upper side of the River. Killing the Rift Herald allows it to be summoned again as a battering ram to attack enemy towers. This monster will never respawn after it is killed. Baron Nashor - Baron Nashor is the most powerful neutral enemy, located in the upper side of the River. It will spawn after twenty minutes, replacing the Rift Herald. All living members of the team that kills Baron Nashor are given a buff which makes nearby minions more powerful. Baron Nashor will respawn seven minutes after it is killed. Each team has to pick 5 champions to play per game, with each team member playing a selected role. Ill delve deeper into each role throughout the recap. Alongside the selections, each team can ban 5 champions to ensure that the other team who may be proficient in a certain champion or game style, are unable to play that specific champion or role. This is without doubt the most crucial element of the forthcoming game, and it can be won or lost by the champions you select. Many champions counter other champions for instance many champs have spells you have to land and predict where the enemy are going, and some champions have dodging abilities. This is one of many counter type selections. So, the Bombers had the first selection in champion select, with Team member MIMIC leading off. (champ select goes team 1 first selection, then team 2 two selections, team 1 two selections, team 2 two, team 1 two then team 2 one). A very quiet opening 5 minutes of gameplay with each team focusing on farming the minions. At around the 5 minute mark each lane were on very similar CS (creep score or killed minions) and the Bombers held a slender team gold advantage of about 300. The next 5 minutes brought the first major bit of action for the game. Whilst Urgot, Kha Zix and Lissandra (Middle Lane – Mage type champion who does an extreme amount of damage from distance, but very squishy) all were fairly even with the enemy trading of damage, gold total and creep score, the bottom lane were starting to flex their muscle with Viktor beginning to wear the enemy ADC Xayah down from a distance. This along with Alistair continually ensuring no ganks (where a jungler comes into a certain lane and attempts to kill the enemy champion when they aren’t expecting to be fighting) were occurring and that Xayah couldn’t poke Viktor, it bodes very well for a potential first blood. 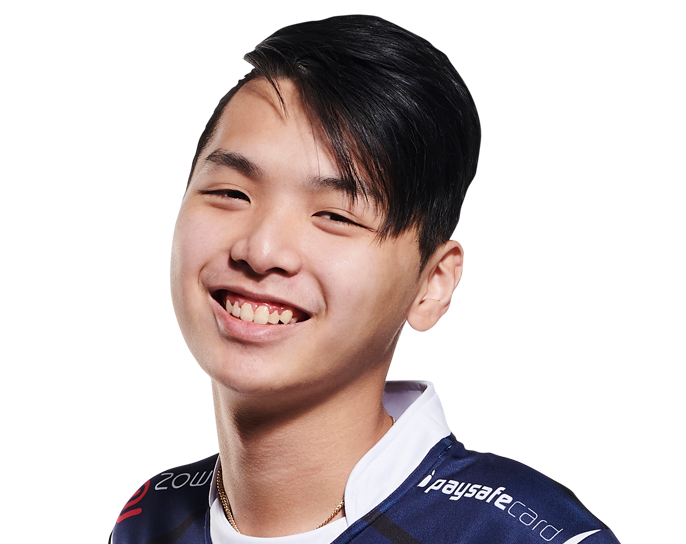 Subsequently, a gank from the Bombers Jungle Kha Zix was about to occur, and Alistar Hex flashed from the bushes to land his Pulverize ability where it knocks the enemy into the air for 1 second and they can’t do anything. This allowed Kixtor and Kha Zix to easily finish off the enemy ADC. First blood is very important in games at it is a gold boost of 500 to whomever obtains it (small amount shared with those who assisted). It means they will most likely finish of a small item or build items faster than their opponent which gives you an advantage. As bot lane was on top now and continually pushing in their lane to the first tower which the enemy had to defend, it allowed Kha Zix to roam back up into the top river and take the Rift Herald, a monster who spawns once and allows a great amount of damage to the enemy towers should you defeat it. The Bombers entered the 10 Minute mark with a 2.2k gold advantage, a very nice advantage for the 10-minute mark of professional games. Well, this was in my mind the best I have seen the Bombers team play in any game against good opposition since early last year. Kha Zix (Balkhan) was beginning to throw his weight around the jungle areas in not only the Bombers side Jungle, but also the enemies. By the 20-minute mark he had a 50 CS lead over the enemy Jungler, which is a significant difference considering it is still technically in the first half of the game. 20 Mins – 25 Mins. We did something I am not used to a Bombers team doing………… We used our significant advantage and wiped the floor with them. We closed out the game by using BARONs powers against enemy structures, and smartly sieged there base until it was as simple as have a 5v5 battle and being far ahead in power and gold, picking off the enemy until we took their NEXUS. ALISTAIR – Rogue – provided safety for Viktor to grow into the game, and helped initiate fights across the map which allowed the squishy champions protection.